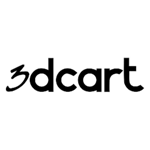 Creating a website and online store with 3dcart is a great way to grow your business, regardless of whether you're just starting out or in full swing. Translating 3dcart by integrating it with Localizer will help break plateaus and supercharge growth by allowing your business to target audiences across multiple languages. It's easy to add multiple languages using Localizer; just add one line of code and away you go. How can Localizer translate 3dcart?